TMDSCNCD28027 is a DIMM100 controlCARD based evaluation and development tool for the Piccolo F2802x series. controlCARDs are complete board-level modules that utilize one of two standard form factors (100-pin DIMM or 180-pin HSEC) to provide a low-profile single-board controller solution. For first evaluation, controlCARDs are typically purchased bundled with a docking station or an application kit. 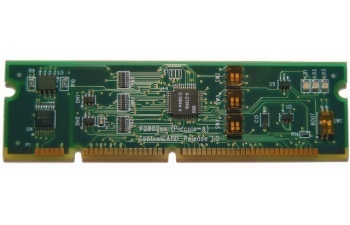 The TMDSCNCD28027 control card requires a DIMM100 baseboard to function.